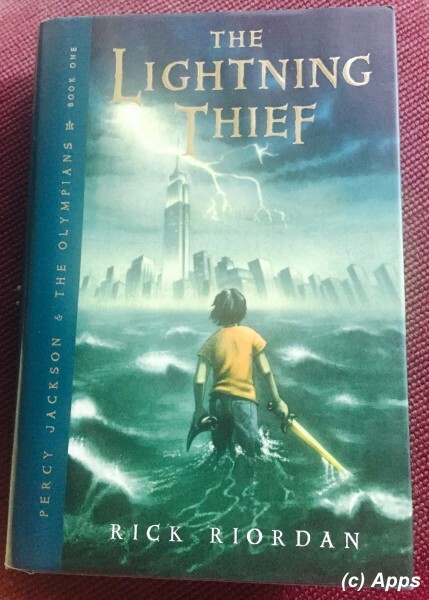 The Lightning Thief is the first in the five part series of books titled Percy Jackson & The Olympians. Published in 2005 it was written by Rick Riordan, first young adult novel by this author. The plot revolves around 12-year old Percy Jackson, a demigod - son of a mortal woman and the Greek god Poseidon; Annabeth Chase, another demigod - daughter of mortal man and the Greek goddess Athena and Grover Underwood, a satyr with goat-legs. All three are sent on a quest to prevent a war between the Greed gods Zeus, Poseidon and Hades. The book has been made into a film so pretty much everyone knows the detailed plot. I had watched the movie first before I read the series. The movie provided a lot more meat for me to add to my imagination that I would have missed out on. The book is written in first-person narrated by Percy Jackson. Here is my take on it. The plot opens with Percy Jackson, a 12-year old with ADHD and dyslexia living in New York City, on a field trip to Metropolitan Museum Art. His confrontation with class bully while standing up for his friend lands him in trouble with Mrs. Dodds, algebra teacher. She takes him away inside the museum, possible for punishment. But to Percy's horror she turns in to one of the three Furies from Greek Mythology and attacks him. In comes his Latin teacher Mr. Brunner, on wheelchair, and throws his pen at Percy that changes to a strange sword. Percy uses the sword to defend himself and kill the Fury. And magically the sword disappears and so does Mr. Brunner. Thus starts the adventure of his life that he could ever imagine. Beginning with a summer trip to beach with his mother, when all seemed good, Grover comes in the middle of the night to take them to a summer camp of a different kind so he could be saved from danger. They are attacked by a Minotaur - Greek creature with the head of a bull and body of a man - that Percy kills with the Minotaur's horn after losing his mother. He arrives with Grover at Camp Half - Blood - the weird camp he thought - that is a camp for training demi-gods. He finds that he was not the only demi-god alive. But what he doesn’t understand was what was stolen and why is it that he is being targeted. As he settles into the camp, after one particular incident involving another monster, he gets claimed by the god Poseidon. Finally, here is the prophecy given to Percy in this book. You must go west, and face the god who has turned.